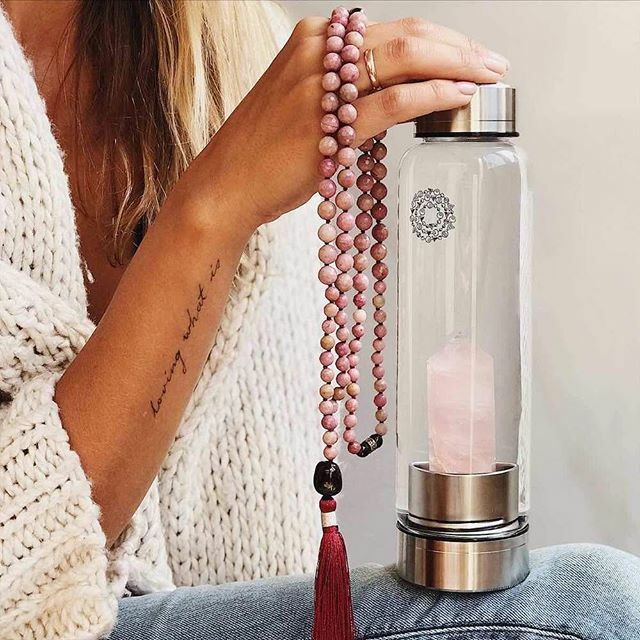 Rose Quartz is the stone of Love – the unconditional kind, independent of circumstance, time or space. Rose Quartz opens up the heart chakra allowing its healing energy to diffuse throughout our entire body. Especially good for unsolved emotional contractions and hurts that have closed us off, such as anger, stress, fear, or resentment. It helps to release the body from such tensions and freeing up space for that which is fresh, healing and inspires the heart. High Borosilicate Glass – 100% BPA/ Lead-FREE; Hard; Clear; Temperature-Resistant, and Dishwater safe.